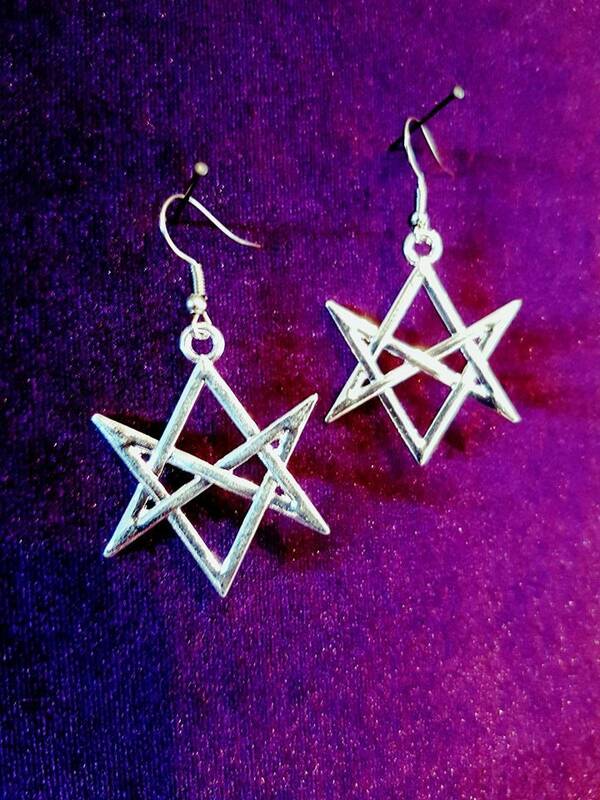 Beautiful Hexagram Earrings available in 2 styles. Choose style in dropdown box. 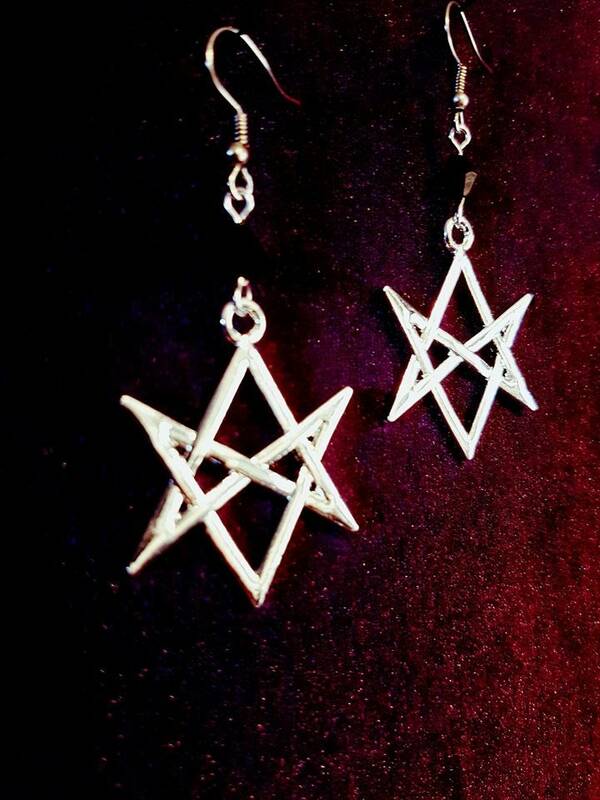 The unicursal hexagram is so-called because it can be drawn unicursally- that is, in one continuous movement. This is significant when forming figures in ritual magick, where a continuous line is preferred to an interrupted movement. 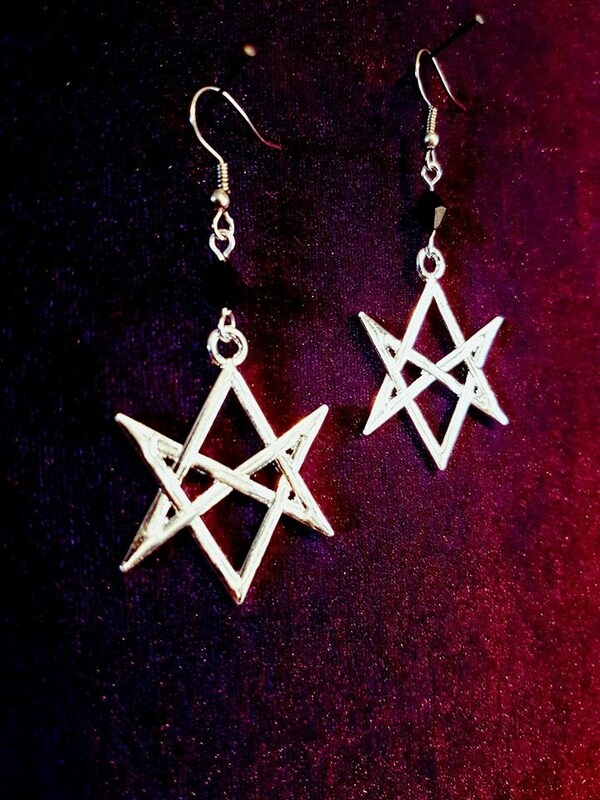 The symbol was devised by the Golden Dawn, and later adapted by Aleister Crowley as a device of personal significance. 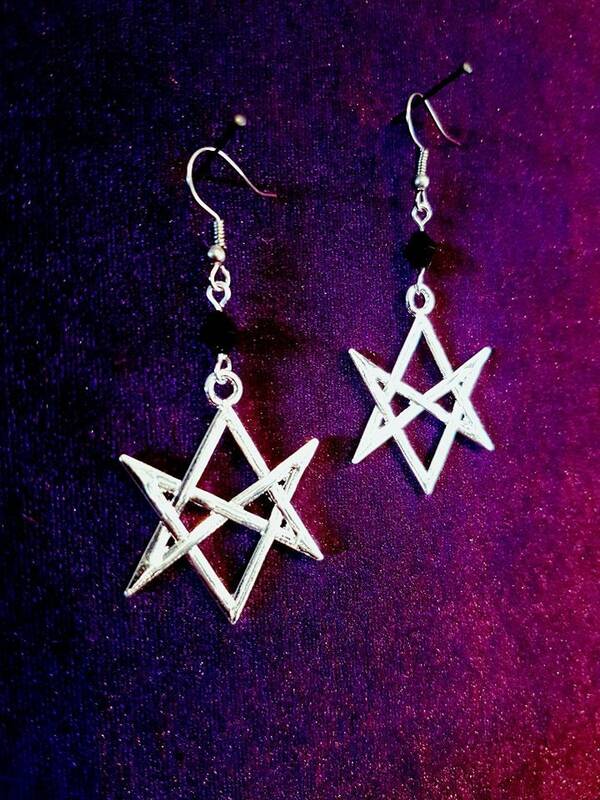 It is often worn by Thelemites as a sign of religious identification and recognition. 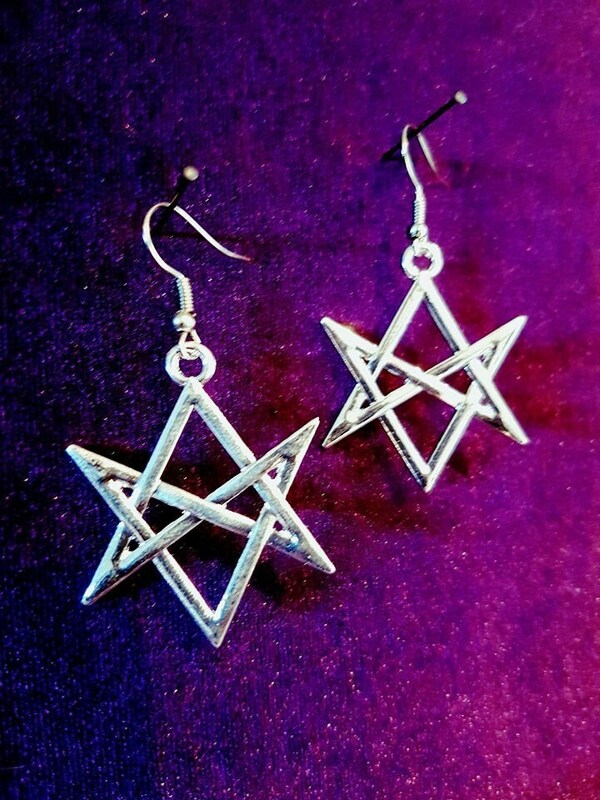 The unicursal hexagram was created for the purpose of drawing the figure in one continuous movement, as the other magical polygons are created- the pentagram is one example. This is significant in ritual magick when invoking and banishing hexagrams must be made. 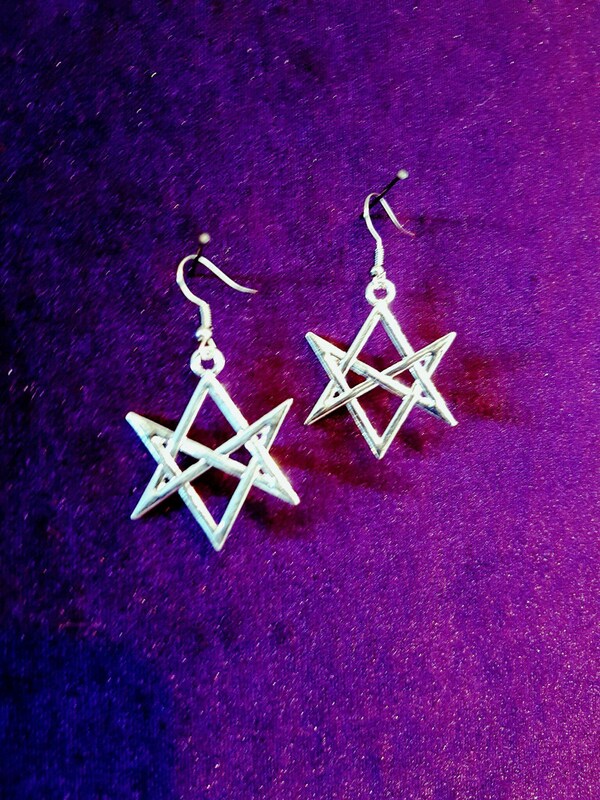 Crowley’s adaptation of the unicursal hexagram placed a five petaled rose, symbolizing a pentacle (and the divine feminine), in the center; the symbol as a whole making eleven (five petals of the rose plus six points of the hexagram), the number of divine union.